Situation after the initial Soviet advance. The Velikiye Luki offensive operation (Russian : Великолукская наступательная операция) was executed by the forces of the Red Army's Kalinin Front against the Wehrmacht's 3rd Panzer Army during the Winter Campaign of 1942–1943 with the objective of liberating the Russian city of Velikiye Luki as part of the northern pincer of the Rzhev-Sychevka Strategic Offensive Operation (Operation Mars). The Kalinin Front was a major formation of the Red Army active in the Eastern Front of World War II. It was formally established by Stavka directive on 17 October 1941 and allocated three armies: 22nd, 29th Army and 30th. In May 1942, the Air Forces of the Kalinin Front were reorganised as the 3rd Air Army, comprising three fighter, two ground attack, and one bomber division. Operation Barbarossa was the code name for the Axis invasion of the Soviet Union, which started on Sunday, 22 June 1941, during World War II. 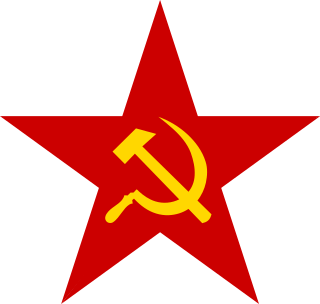 The operation stemmed from Nazi Germany's ideological aims to conquer the western Soviet Union so that it could be repopulated by Germans (Lebensraum), to use Slavs as an unfree labour force for the Axis war effort, and to seize the oil reserves of the Caucasus and the agricultural resources of Soviet territories. The city had great strategic value due to the main north-south railway line running just west of the city at Novosokolniki, as well as the city's own rail network to Vitebsk and bridges over the Lovat River. After its capture and with the German offensive running out of steam for the winter, the area was fortified. Marshy terrain extended to Lake Peipus from just north of the city defended by the German 16th Field Army, making operations in the region around the city difficult for both sides. Rather than maintaining a solid "front" in the area, the Germans established a series of thinly held outposts to the north and south of the city. Soviet counterattacks during the Winter Campaign of 1941–1942, especially the Battles of Rzhev just to the south, formed a large salient in the German lines. Velikiye Luki lay just on the western edge of the original advance, and was just as strategic for the Soviets as the German. The city dominated the region and would therefore be the natural point for fighting, offering the possibility of eliminating the German bridges on the Lovat, and to deny the Germans use of the rail line that provided communications between Army groups North and Centre. Furthermore, as long as the German Army occupied both rail junctions at Velikiye Luki and Rzhev, the Red Army could not reliably reinforce or resupply its troops on the north face of the massive Rzhev Salient. In view of its strategic significance, the Germans heavily fortified the city over the course of 1942. The Soviets often raided into German-held territory around the town and the town could only be kept supplied by armoured trains. The Soviet offensive to retake the city was developed in mid-November 1942 using troops from the 3rd and 4th Shock armies, and 3rd Air Army. The city itself was defended by the 83rd Infantry Division commanded by Lieutenant General Theodor Scherer, the lines to the south held by the 3rd Mountain Division, and the front to the north held by the 5th Mountain Division. The city itself was provided with extensive prepared defenses and garrisoned by a full regiment of the 83rd Division and other troops, totaling around 7,000. The 83rd Infantry Division,, was a German reserve and security formation during World War II. Theodor Scherer was a German general and divisional commander in the Wehrmacht during World War II. The 3rd Mountain Division was a formation of the German Wehrmacht during World War II. It was created from the Austrian Army's 5th and 7th Divisions following the Anschluss in 1938. Rather than attacking the town directly, the Soviet forces advanced into the difficult terrain to the north and south of the town. Spearheaded by four rifle divisions to the south and one to the north, the operation commenced on 24 November. Despite heavy losses, they successfully cut the land links to the city by 27 November, trapping the garrison; by the next day they threatened to cut off other elements of the corps south of the city when the front commander released his 2nd Mechanised Corps into the breach created between the 3rd Mountain and 83rd Infantry Divisions. Army Group Centre's commander asked the OKH for permission to conduct a breakout operation while the situation was still relatively fluid by pulling the German lines back by around ten miles (16 km). The request was dismissed by Hitler, who, pointing to an earlier success in a similar situation at Kholm, demanded that the encircled formations stand fast while the Gruppe "Chevallerie" from the north and 20th Motorised Division from the south counter-attacked to open the encirclement. Army Group Centre was the name of two distinct strategic German Army Groups that fought on the Eastern Front in World War II. The first Army Group Centre was created on 22 June 1941, as one of three German Army formations assigned to the invasion of the Soviet Union. On 25 January 1945, after it was encircled in the Königsberg pocket, Army Group Centre was renamed Army Group North, and Army Group A became Army Group Centre. The latter formation retained its name until the end of the war in Europe. 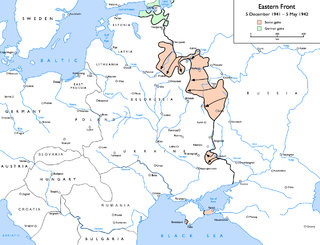 The Kholm Pocket was the name given for the encirclement of German troops by the Red Army around Kholm south of Leningrad, during World War II on the Eastern Front, from 23 January 1942 until 5 May 1942. A much larger pocket was simultaneously surrounded in Demyansk, about 100 km (62 mi) to the northeast. These were the results of German retreat following their defeat during the Battle of Moscow. The garrison were ordered to hold the city at all costs, while a relief force was assembled. The remainder of the 83rd Infantry and 3rd Mountain Divisions, encircled south of Velikiye Luki, fought their way west to meet the relieving troops. Due to Army Group Centre's commitments at Rzhev, the only resources immediately available to man the lines opposite Velikiye Luki were those already in the area, which were organised as Gruppe Wöhler (291st Infantry Division). Later, other divisions were made available, including the understrength 8th Panzer Division from Gruppe Chevallerie, the 20th Motorized Infantry Division from Army Group Centre reserve, and the weak 6th Luftwaffe Field Division, and the hurriedly rushed to the front 707th and 708th Security, and 205th and 331st Infantry divisions although there was a corresponding build-up of Soviet strength. Throughout December, the garrison – which maintained radio contact with the relief forces – held out against repeated Soviet attempts to reduce their lines, and in particular the rail depot in the city's southern suburb. The Soviet forces, attacking strongly entrenched troops in severe winter weather, suffered extremely high casualties, while conditions in the city steadily deteriorated despite airdrops of supplies, ammunition and equipment. In the meantime, Soviet attempts to take their main objective, the rail lines at Novosokolniki, had been frustrated by the counter-attacks of the relief force. An attempt by the Germans to reach Velikiye Luki in late December, ran into stubborn Soviet defence and halted, heavily damaged. Operation Totila, the next attempt to break through to Velikiye Luki, was launched on 4 January. The two German spearheads advanced to within five miles (8 km) of the city, but stalled due to pressure on their flanks. On 5 January, a Soviet attack from the north split Velikiye Luki in two, isolating a small group of troops in the fortified "citadel" in the west of the city, while the bulk of the garrison retained a sector centred around the rail station in the south of the city. The former group broke out on during the night of the 14th; around 150 men eventually reached German lines. The German garrison surrendered on 16 January. The battle is sometimes called "The Little Stalingrad of the North" due to its similarities with the larger and better-known Battle of Stalingrad that raged in the southern sector of the front. Judged purely by the numbers, this battle was a small affair by the usual standards of the Eastern Front (150,000 total casualties suffered by both sides as opposed to 2,000,000 total casualties at Stalingrad), but had enormous strategic consequences. The liberation of Velikiye Luki meant the Red Army had, for the first time since October 1941, a direct rail supply line to the northern face of the Rzhev Salient exposing the German troops at Rzhev to encirclement. Events at Velikiye Luki thus necessitated the withdrawal from Rzhev salient ending any German military threat to Moscow. However, even after withdrawing from Rzhev, possession of Velikiye Luki meant that the rail link between Army groups North and Centre was severed, preventing the German Army from shifting reinforcements between threatened sectors. Furthermore, the rail lines from Velikiye Luki led directly into the rear of Vitebsk, a critical logistics hub for Army Group Centre. The effects of this battle meant that Army Group Centre was exposed to attack from the north, east, and (after the Battle of Smolensk) south, exposing the whole army group to encirclement, which is exactly what happened in the Operation Bagration the following year. While it is somewhat difficult to separate the actions of various Red Army and Wehrmacht units within the flurry of movements involved in the larger scope of the Soviet operations, for the most part these below are derived from Glantz and Isayev. Kalinin Front (Maksim Alekseyevich Purkayev) engaged in the Second Rzhev-Sychevka Offensive to the south of Velikiye Luki. Most of Army Group Center was engaged in resisting the second Soviet Rzhev-Sychevka offensive throughout this period. Almost half of the 83rd Infantry Division was assigned to the Velikiye Luki garrison. The 3rd Mountain Division was at little more than half strength, since its 139th Regiment had been left in Lapland when the division withdrew from northern Finland. The 138th Mountain Regiment was the unknown unit of 3rd Mountain shown in Maps 2 and 3. 20th Motorized was from Army Group Center's reserve. 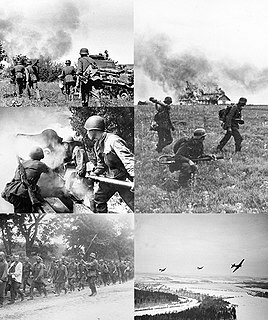 The Battle of Krasny Bor was part of the Soviet offensive Operation Polyarnaya Zvezda. It called for a pincer attack near Leningrad, to build on the success of Operation Iskra and completely lift the Siege of Leningrad, encircling a substantial part of the German 18th Army. The offensive near the town of Krasny Bor, formed the western arm of the pincer. 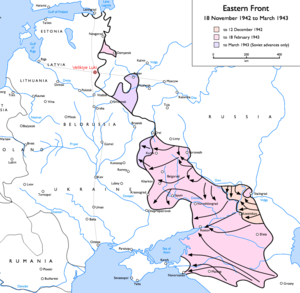 The Soviet offensive began on Wednesday, 10 February 1943. It produced noticeable gains on the first day but rapidly turned into a stalemate. The strong defense of the Spanish Blue Division and the German SS Polizei Division gave the German forces time to reinforce their positions. By February 13, the Soviet forces had stopped their offensive in this sector. The Toropets–Kholm Offensive was a military operation conducted south of Lake Ilmen by the Red Army during World War II, from 9 January-6 February 1942. The operation contributed to the formation of the Kholm Pocket and the encirclement of the Wehrmacht's II Army Corps in the Demyansk Pocket. The Vilnius Offensive occurred as part of the third phase of Operation Bagration, the great summer offensive by the Red Army against the Wehrmacht in June and July, 1944. It lasted from 5 July to 13 July 1944, and ended with a Soviet victory. The 22nd Army was a field army of the Russian Ground Forces, part of the Moscow Military District. It was active from 1941 to 1945 and from 1990 to 2009. The order for the formation's dissolution was signed by the Minister of Defence on 1 June 2009. The 251st Rifle Division was raised in 1941, within days of the German invasion, as a standard Red Army rifle division, and served for the duration of the Great Patriotic War in that role. Its men escaped encirclement in October and returned to Soviet lines in good enough shape to avoid disbandment. In the following two and a half years the division slogged through the difficult and costly battles around Rzhev and Smolensk before distinguishing itself by assisting in the liberation of the city of Vitebsk in June, 1944. The 170th Rifle Division was raised in 1939 as a standard Red Army rifle (infantry) division, as part of the prewar buildup of the Army. During July and August 1941, it gave very effective service in the battles around Velikiye Luki until it was so severely depleted that it had to be disbanded. A new 170th was formed between December 1941 and January 1942. From this point the division had a distinguished but relatively uncomplicated combat path, fighting in the central part of the Soviet-German front. It was given credit for the liberation of Rechytsa in late 1943, and ended the war in the conquest of East Prussia. The 357th Rifle Division formed in August 1941, as a standard Red Army rifle division, at Sarapul. When it arrived at the front it was assigned to the Kalinin Front, and it spent the first half of 1942 deep in the rear of German Army Group Center, fighting in full or partial isolation in the forested swamps west of the Rzhev salient. While it was not destroyed, it was heavily depleted in this campaign and was withdrawn into the reserve for rebuilding. It next saw action in November when it helped lead the 3rd Shock Army in the battle and siege of Velikiye Luki. When this battle ended in January 1943, the sector remained fairly quiet until Kalinin Front launched an offensive on Nevel in October which had much success in the early going. In the summer and autumn of 1944 the 357th took part in the Riga Offensive into the Baltic states, and won the Order of Suvorov for its part in the liberation of that city. The division ended the war in the Courland Group of Forces, watching over the trapped remnants of German Army Group North. The 357th remained in service as late as March 1955, when it was re-designated. The 19th Guards Rifle Division was formed from the first formation of the 366th Rifle Division on March 17th, 1942. At this time it was in the 52nd Army of Volkhov Front, taking part in the Lyuban Offensive Operation, which was planned to encircle and defeat the enemy forces laying siege to Leningrad. However, just at that time the German 18th Army was in the process of cutting off the Soviet Lyuban grouping in a pocket, and over the following months the division was nearly destroyed. Enough survivors emerged from the swamps in June and July to rebuild the unit, and it fought in the Second Sinyavino Offensive before it was shifted south into Kalinin Front to take part in the battle and siege of Velikiye Luki in December. In the summer of 1943 the 19th Guards fought in the battles for Smolensk, and won its first battle honor, "Rudnya". in September. During the offensive in the summer of 1944 it was awarded the Order of the Red Banner for its successes in the fighting around Vitebsk. It was further honored in February, 1945, with the Order of Lenin for its role in the victories in East Prussia. In the summer the division was moved by rail with its 39th Army to the Far East and saw action in the Soviet invasion of Manchuria in August, winning its second battle honor, "Khingan", for its services. The division continued to see service well into the postwar era. The 369th Rifle Division began forming on August 1, 1941, as a standard Red Army rifle division, in the Chelyabinsk Oblast. After forming, it was assigned to the 39th Army which soon became part of Kalinin Front, and it participated in the near-encirclement of the German 9th Army around Rzhev in the winter counteroffensive of 1941-42. In late January, 1942, it was transferred to the 29th Army of the same Front, which was very soon after encircled by German forces near Sychevka, and while it was written off by German intelligence in February, enough of the division escaped that it was not officially disbanded. By August it returned to battle, now in 30th Army of Western Front, still fighting near Rzhev. After the salient was finally evacuated in the spring of 1943 the division was moved to Bryansk Front, first in 11th Army and then in 50th Army, under which it served for most of the war. In the summer counteroffensive the 369th was awarded the battle honor "Karachev" for its part in the liberation of that city. At the start of Operation Bagration the division was in 2nd Belorussian Front and its commander, Maj. Gen. I. S. Lazarenko, was killed a few days later; despite this loss it was awarded the Order of the Red Banner for its successful crossing of the Dniepr River and the liberation of Mogilev. The division continued to advance through Belarus and into Poland and eastern Germany over the following months, but despite a fine record of service was disbanded soon after the German surrender. Chadwick, Frank A. et al. (1979). White Death: Velikiye Luki, The Stalingrad of the North. Normal, Il:, game design notes, GDW (Game Designers Workshop) a board wargame that covers the battle with considerable detail. It includes notes on the battle, orders of battle for each side, and a 1:100,000 map derived from Soviet wartime situation maps. Shelby Stanton had researched primary sources using the captured German records held by NARA in Wash. DC. Department of the Army, Historical Study Operations of Encircled Forces German Experiences in Russia, Pamphlet 20-234, Washington DC, 1952. This pamphlet was written by German officers to relay their experiences fighting the Russians (sic). The officers had to rely on memory so there are some inaccuracies but gives a good overall account of various operations and battles. Webb, William A., Battle of Velikiye Luki: Surrounded in the Snow, PRIMEDIA Enthusiast Publications, Inc.(2000). ". Accessed on 21 April 2005.